This carefully crafted ebook: "Plato: The Complete Works" is formatted for your eReader with a functional and detailed table of contents. 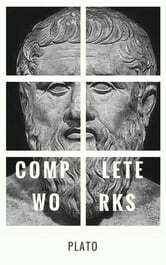 Plato (428/427 BC - 348/347 BC) was a philosopher in Classical Greece. He was also a mathematician, student of Socrates, writer of philosophical dialogues, and founder of the Academy in Athens, the first institution of higher learning in the Western world. Along with his mentor, Socrates, and his student, Aristotle, Plato helped to lay the foundations of Western philosophy and science. Table of contents: Early works: Apology Crito Charmides Euthyphro First Alcibiades Greater Hippias Lesser Hippias Ion Laches Lysis Middle works: Cratylus Euthydemus Gorgias Menexenus Meno Phaedo Protagoras Symposium Republic Phaedrus Parmenides Theaetetus Late works: Timaeus Critias Sophist Statesman Philebus Laws Pseudonymous works (traditionally attributed to Plato, but considered by virtually all modern authorities not to have been written by him): Epinomis Second Alcibiades Hipparcus Rival Lovers Theages Cleitophon Minos Demoducus Axiochus On Justice On Virtue Sisyphus Eryxias Halcyon Letters There are also included a number of essays relating to various aspects of Plato's works.